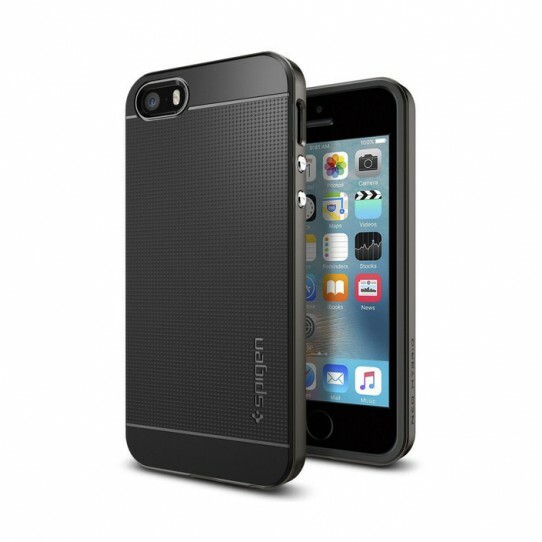 Spigen’s Neo Hybrid™ Case features a newly designed TPU pattern for the iPhone 5 and SE. Its metalized buttons guard against drops while the shock absorbing TPU case and polycarbonate bumper offers absolute protection for your device. The case fits snugly on your phone, it is durable and features a textured pattern for a modernistic style.